State finance officials say the current economic downturn could be the worst since World War II. A higher unemployment rate, falling consumer confidence and a shaky housing market all mean fewer dollars are being pumped into the state treasury. "This is not going to be easy," said Gov. Tim Pawlenty at a press conference announcing the projected deficit. "It's going to be a big challenge and it's going to come with a lot of difficulty." Governor Pawlenty told a packed audience of reporters, lawmakers and lobbyists that he won't support any tax increases to get Minnesota out of it's budget problem. To plug a $426 million hole in this fiscal year, ending in June, the governor ordered state agencies to show him how they can cut 10 percent from their budgets. He also notified state lawmakers that he'll use emergency powers to cut spending on his own if they can't reach agreement on how to fix the problem. As for the $4.8 billion dollar gap in the next two-year budget cycle, Pawlenty said he's taking a new approach to recreate the budget one program at a time. "We're not approaching this budget as 'Gosh, we wish we would have had $38 billion.'" Pawlenty said. "We wish we would have taken that autopilot growth and added another couple of billion and now we're going to take our wish list of 37 or 38 and work our way back down to 32. We're going to start with zero and work our way up to 32." The governor didn't offer specifics on what he'd sacrifice to balance the budget. Instead, he said the crisis offers a great opportunity to restructure and change state government. The potential for billions of dollars in cuts has every group that relies on state funding running scared. Schools, health care, local governments, social service agencies, public safety and parks could all see less money. As soon as the deficit was announced, lobbyists and public officials rushed to defend their programs in person and through e-mail. St. Paul Mayor Chris Coleman said local governments can't take any more cuts. "We have cut to the bone. There is no more room for us to cut," Coleman said. "If they choose to balance the budget this year in the way that they did in 2003, it means dramatic service cuts across the state of Minnesota. "Those tend to be where we have basic provision of services is public safety; police and firefighters." While not singling out local government aid as an option, Pawlenty said cities and county officials should recognize the current economic conditions. Other groups warned that cutting safety net programs for the poor will only push people deeper into poverty. Father John Estrem, with Catholic Charities, said more people are turning up at their homeless shelters and food shelves. Estrem said he's working to remind the governor and lawmakers that his organization's expenses increase in a struggling economy. "I have conversations with some of them on a regular basis and I think many of them recognize it but I'm not sure that they always remember it," Estrem said. While many groups are hoping, at best, to preserve their level of funding, Minnesota's courts are calling for more money. The state's chief justice, Eric Magnuson, said the court system needs to be first in line for Legislative funding despite Minnesota's looming deficit. Magnuson said the courts will seek an additional $54 million because they simply can't absorb more cuts. "We've only asked for the money that we really need to continue at our current level of functioning and if we don't get that money then someone has to tell me what part of justice they don't want us to deliver," Magnuson said. 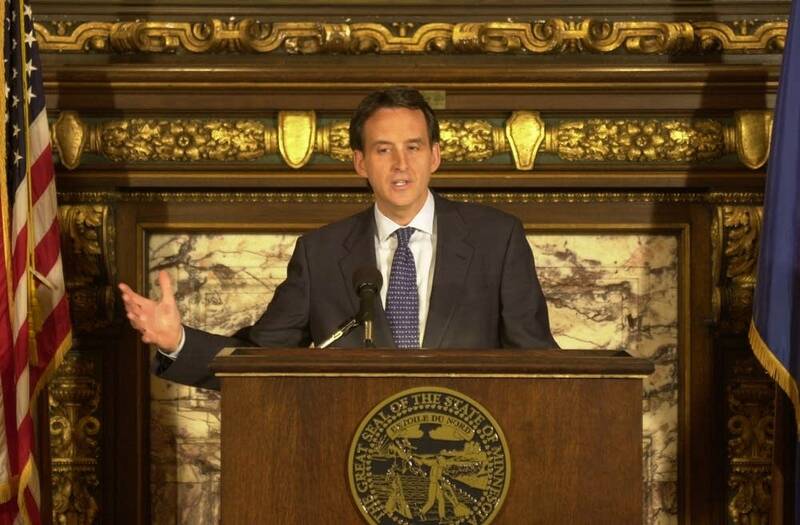 Governor Pawlenty seemed skeptical of the request, suggesting a bulk of the money will be directed to salary increases. Court officials say the increase would be used to hire more staff to reduce a backlog in the courts. DFL House Speaker Margaret Anderson Kelliher said her message to groups that rely on state funding is simple. "They should absolutely come in and tell us what their needs are," Kelliher said. "They should be absolutely realistic that meeting those new needs are going to be extremely rare." Most troubling to lawmakers and those who rely on state funding is that Minnesota's budget has the potential to get worse. State finance officials said they're operating under the assumption that the deficit could grow even larger when the next budget forecast is released in February.